Posted in: Radio Control, Spektrum. Tagged: New Releases, RC. Guess what is coming this summer. 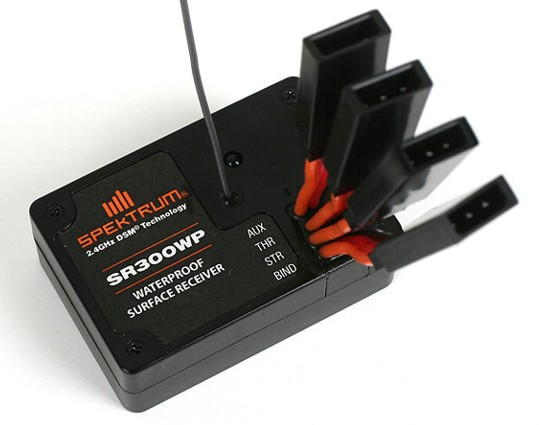 Spektrum is releasing a waterproof receiver, the SR300WP. There aren’t many details at this point, but it will have 3 channels, and is due in stores, June 2013. We need more manufacturers to make their electronics waterproof, there is no denying the convenience of hosing down a muddy truck, shooting some compressed air at it, treating it with a little WD40, and moving on with your day. I can think of a few people that will be changing transmitters this summer.